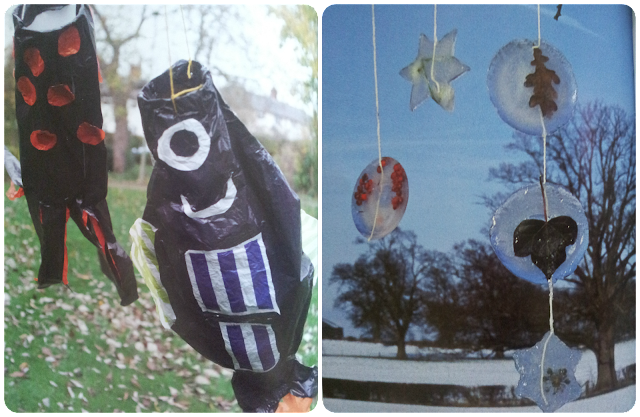 plans -you can still make the most of the snow and mud outside. 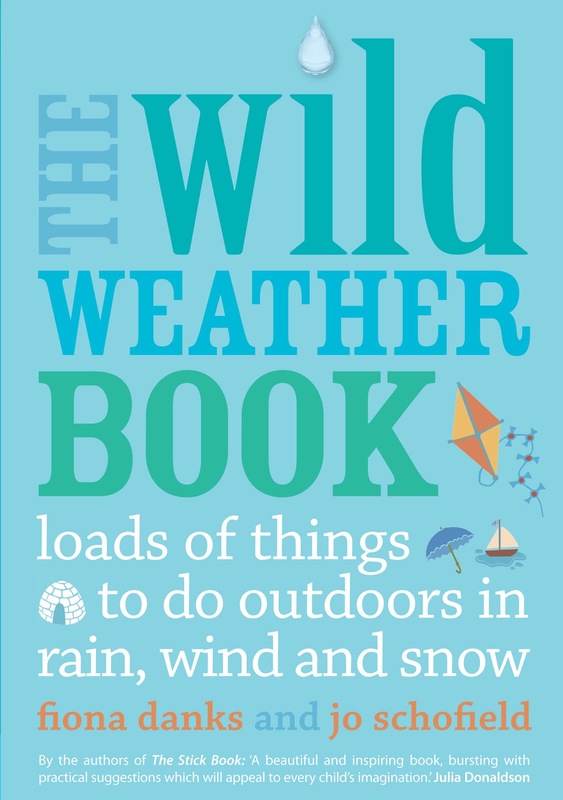 The Wild Weather Book helps to inspire you, providing a great variety of activities to do outdoors whether there is rain, wind, ice or snow lurking. The book has some unique ideas that I probably wouldn't have thought of myself like rain stencils and track traps. There are 72 projects in total across chapters on Rainy Days, After the Rain, Windy Days, Snowy Days and Icy Days. The projects vary from things you can complete within 5 minutes to things that could take half a day or more to suit the time scale you have to play. There are some handy tips and safety guidelines at the rear of the book to help the natural world and you from getting damaged in the process too. There are plenty of photos and a lot of the projects include step-by-step guides to make them easy to follow. The projects allow you to explore, take risks and learn have adventures outside while learning new skills. We have made ice decorations before, details of which are included within the book, and there are instructions on making kites and windsocks too. The usual retail price is £9.99 and it is well worth getting if you like to have family fun outdoors whether the sun is shining or not! I've heard about this book, I really need to get myself one! present screen that is definitely best with making juice pumpkin, green green vegetables, wheat-grass, green spinach, kale, chard among other fluffy vegetation. Single purpose well-accepted brand name names may just be the Breville. Within capabilities efficient At least one,560 watts continuous motor. To inspect the idea, youll need to remove you see, the cutlery construction of one's blender or food processor bottle remove i would say the rubberized o-ring. You do not need up to tow line a trailer home with a Corvette, correct now can you?